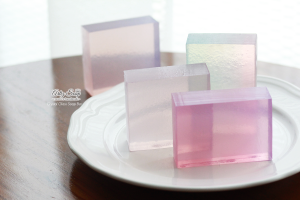 The initial idea of me started experimenting making transparent soap bar was out of curiosity. How you make the soap so transparent like glass? its another beauty! So I went countless experiments! started with 3 hours cooking! it was crazy! waiting time and waiting time. how to reduce long cooking hours? how to reduce yellowish colour of natural oil? how to make it hardened faster become soap base? how to make it crystal glass? how to reduce sweat & remain fresh condition? Do we really need to use complicated ingredients? Information about the ingredients / recipe will only be provided in class. Student will learn to make 500gm crystal glass soap bar from scratch and make 500gm ombre crystal glass soap bar from scratch. 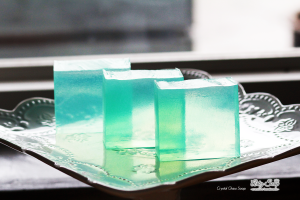 Student will learn to remelt the soap base to add essential oil/fragrant and colour and pour to style soap moulds. We provide solution for students about soap sweating and how to preserve the soap for shipping. This problem happened more to humid countries such as Malaysia. 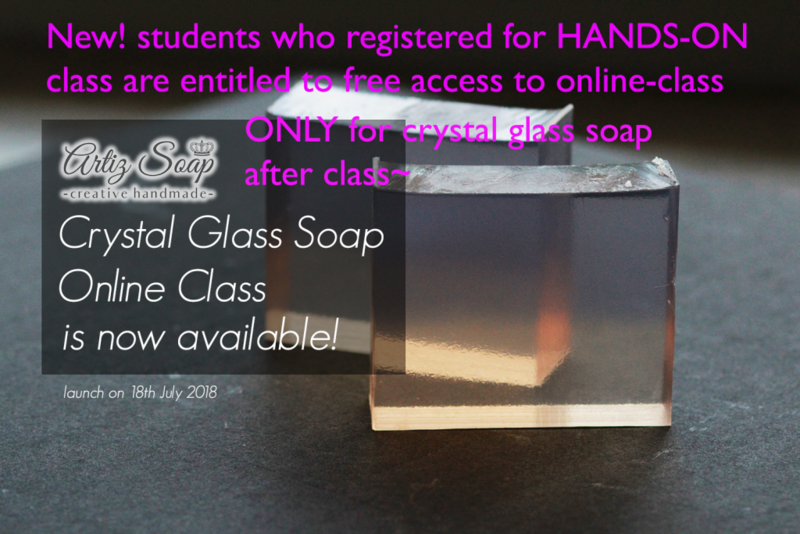 Thus, students will bring back 500gm crystal glass soap (original), 500gm ombre crystal glass soap. Ingredients and soap making tools will be provided in class. 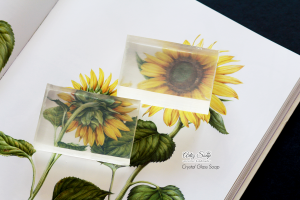 This handmade crystal glass soap bar is different from commercial melt and pour soap base. 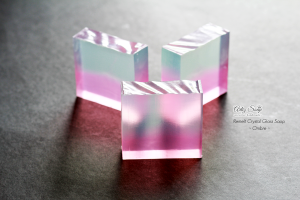 If you looking for perfect transparent colour (colourless), you have to choose commercial melt and pour soap base. 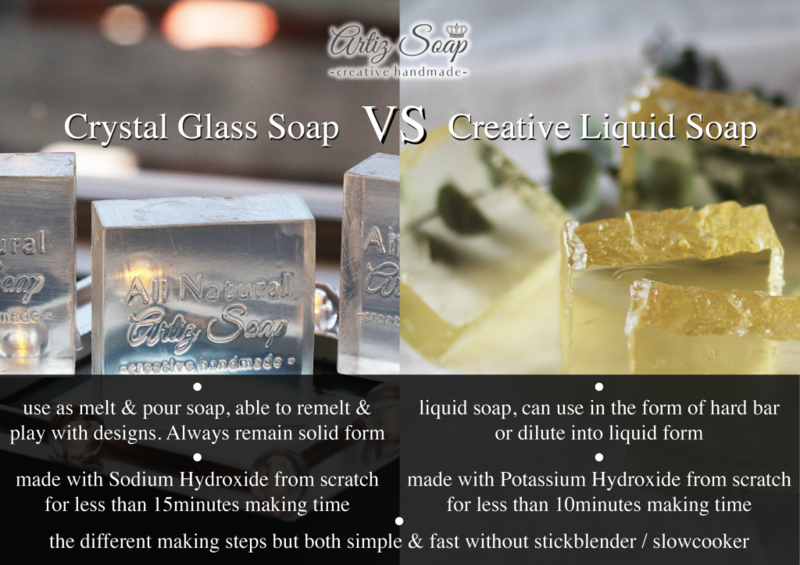 We provide fast & simple made from scratch 20minutes solution for home soap maker to make their own crystal glass soap bar with added benefit to reuse it as melt and pour soap. 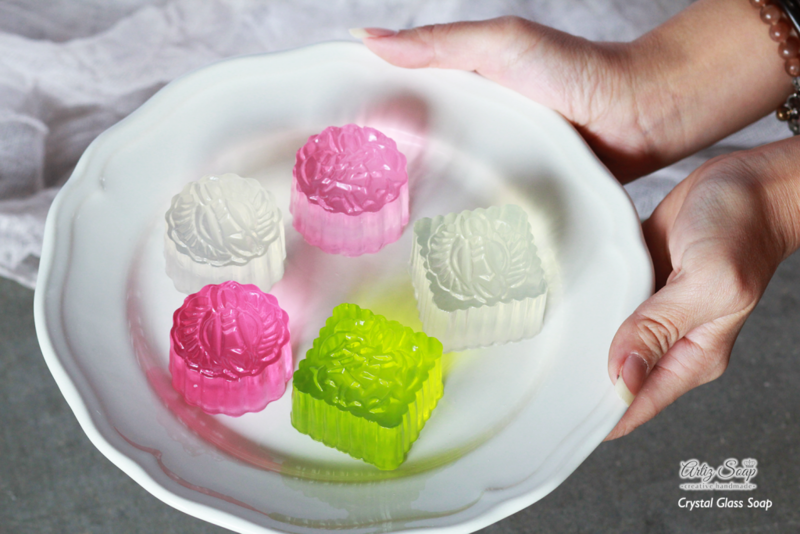 The soap is nourshing, fresh cleaning feel and bubbly without any help of chemical surfactants. The colour of the soap has tiny yellowish tinted as soap loaf. 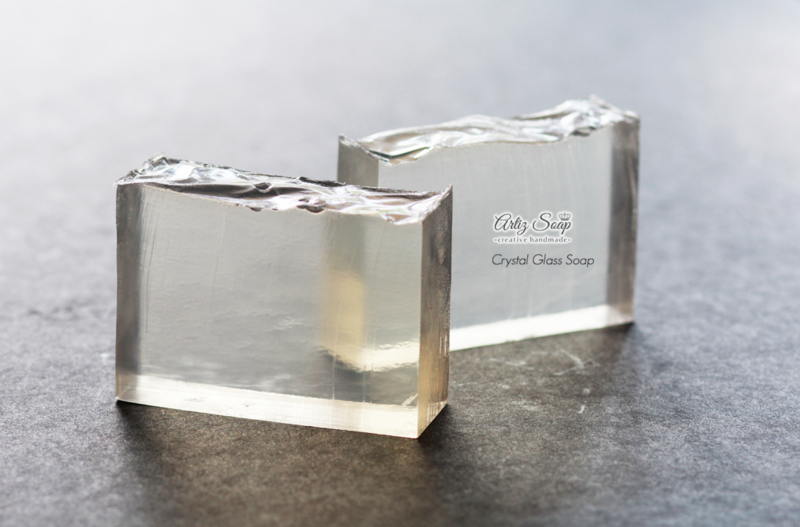 The soap is hard and crystal clear, stunning even just a soap bar.